I don't know if you've been following LaToya Irby's series here on AFW, but I think it's great. She offers a lot of great tips and advice on how to do your taxes as a freelancer, which can be quite a pain if you have a large number of clients. I think that I've learned a lot from her this year, and although I'm not totally ready to do my own taxes, I feel confident enough to check over the work being done. I do have some secrets to share with you. I didn't check with LaToya and I'm completely unqualified as an accountant or tax advisor but I did get a print-out certificate from the Curacao College of Tax-Related Enterprise after paying $14.99 last year. I lost the certificate but I can forward you the email if you are not sure of my credentials. Let's get started! When calculating your home office deduction, do not forget your bed. This year, I am claiming 50% of my mattress because I do so much work from it. I have hidden several office supplies under my bed, such as a stapler, a highlighter, and White-Out, so I have also taken care to document those as business expenses. Due to heavy daytime usage, I have been able to claim Starbucks and Taco Bell as dependents this year. You have to drink a lot of coffee and eat a lot of tacos to hit that point, but check it out! It may be worth the time invested. If you want to do your own taxes, you can take a tip from a friend of mine. I'll let him tell you in his own words: I just didn't get any clients or make any money. Isn't that great? Now his taxes are super easy to do because apparently he's now living with his parents and is being claimed as a dependent again, but he has a sweet XBox 360 and a mini-fridge with Mountain Dew! You can claim your pajamas and bunny slippers as business attire if you remembered to save the receipts. Did you? A quick tip: use online payments with your credit card company so you can find exactly how much Target charged you for them. Remember that this year however you cannot claim the full deduction on flannel bottoms, but you can on monkey- or kitty-patterened onesies. Do you have any tax tips to share? Disclaimer: Following my tax tips will force the IRS to bludgeon you. Don't even try. They totally will. Clint Osterholz is a freelance writer who thinks he's awfully funny, and is surprisingly not a disappointment to his parents. You're always free to check out his portfolio if you'd like someone to be funny, or maybe write something a little more serious. Subscribe to my posts (only posts from this author). Read more posts from Clint Osterholz. how’d you know about my kitty-patterned jammies? are you hiding under my desk? 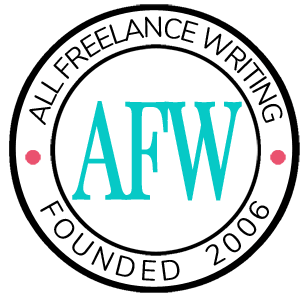 I have an accounting background which helps me with my freelance writing business. I don’t prepare my own taxes, but I know what to look for. Great tips! And don’t forget if you lost the receipt for any of your business expenses, you can write a new one with a magic marker and construction paper as long as you get the manager of the store to sign off on it.